Please Note: For international orders of the Enhanced Yuu, please choose the “Express Mail” shipping option. It does not cost much more than the regular Priority Mail option. However, Express Mail is very safe, faster and can be tracked. – Bore and Tuning Enhancement. By putting the Shakuhachi Yuu through the rigors of a professional bore enhancement, the resonance is increased, the subtleties of pitch are fined tuned and enhanced, and the mouthpiece (utaguchi) is further refined. This work brings the Yuu to a much higher level of excellence. – Elegant rattan bindings and sterling silver plated rings at the joint. There is also nylon binding underneath the rattan, making the joints on the Enhanced Yuu extremely strong. – Silk utaguchi cover included with with the Enhanced Yuu (colors may vary). – The Enhanced Shakuhachi Yuu will easily perform with the same or better quality than bamboo shakuhachi which may cost 3 to 4 times more! 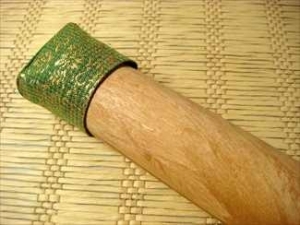 For those who want quality and do not want to spend thousands of dollars, the Enhanced Shakuhachi Yuu is a highly economical and incredibly durable alternative to expensive and temperamental bamboo shakuhachi. 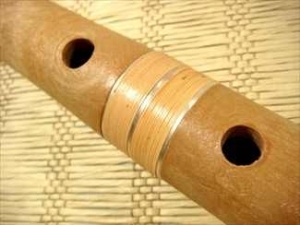 It would be almost impossible to find a shakuhachi that plays as well as the Enhanced Yuu for anywhere near this price! 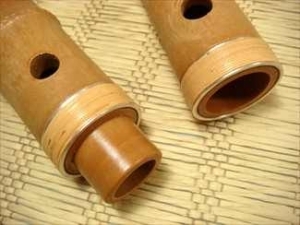 The Enhanced Shakuhachi Yuu will easily perform with the same or better quality than bamboo shakuhachi which may cost 3 to 4 times more! 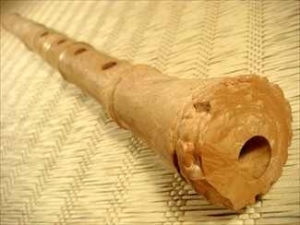 The Enhanced Shakuhachi Yuu is a flute for both beginning and advanced musicians. From studying with a teacher and with teaching books and CDs, to professional performance, the Enhanced Yuu will fulfill your needs. The Enhanced Shakuhachi Yuu will endure the rigors of world travel, vacations, backpacking, practicing in nature, professional performance, or for any other extremes that you may need your shakuhachi to endure without fear of damage. 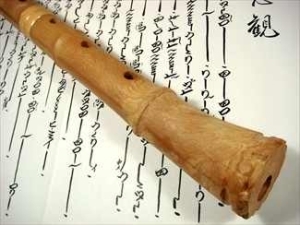 Resonance governs how much air the flute will accept and how hard the sound can be pushed. Any shakuhachi, including the most primitive plastic plumbing pipe models, will perform adequately in this area if the player blows softly. 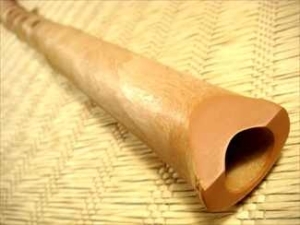 As more air is introduced into the bore and blowing becomes more intense, the higher partials or overtones of the sound are exercised giving the shakuhachi its distinctive ringing tone. If the bore profile of an instrument is not properly designed and rendered to a very precise shape, there are acoustical consequences. Unwanted vibrato, notes jumping into higher octaves, instability and weakness of tone and, in extreme case, the inability to produce a clear sound at all are just a few manifestations of resonance problems. Resonance is clearly the most important issue involved in the performance of a shakuhachi.